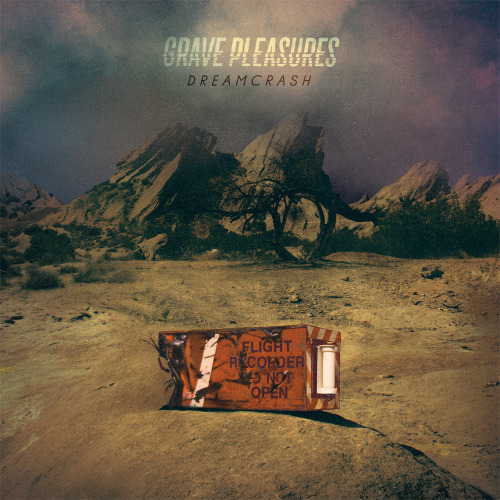 Finnish death rockers GRAVE PLEASURES will release their new, highly anticipated album “Dreamcrash” on September 4, 2015 through Sony Music’s Columbia label. See beauty in the nightmare as the cover artwork is revealed for the first time. 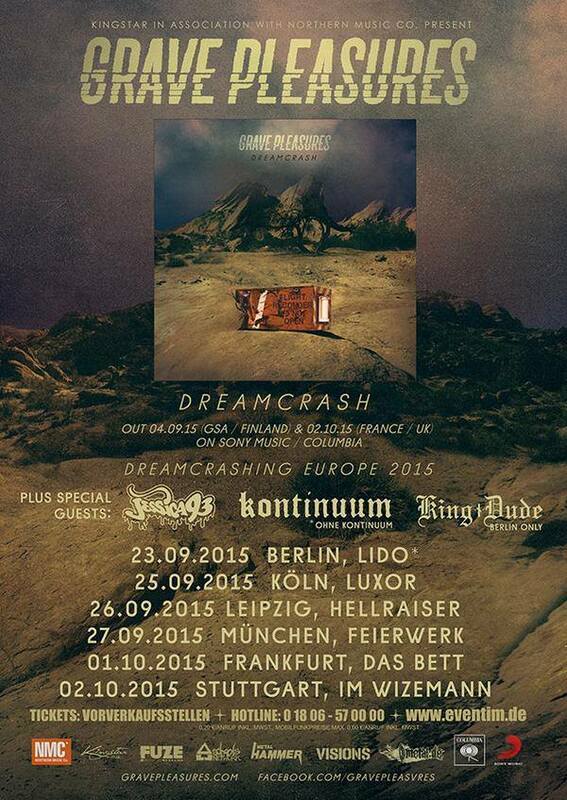 GRAVE PLEASURES from Finland have set September 4, 2015 as collision date for their new album “Dreamcrash”, which will be released by Sony Music Columbia. Formed out of the debris of the band BEASTMILK – the band that had indie kids, goths, punks and the music press dancing to their highly praised debut album “Climax” in 2013 – Grave Pleasures are taking the concept of the apocalypse one step further. This time it’s personal. 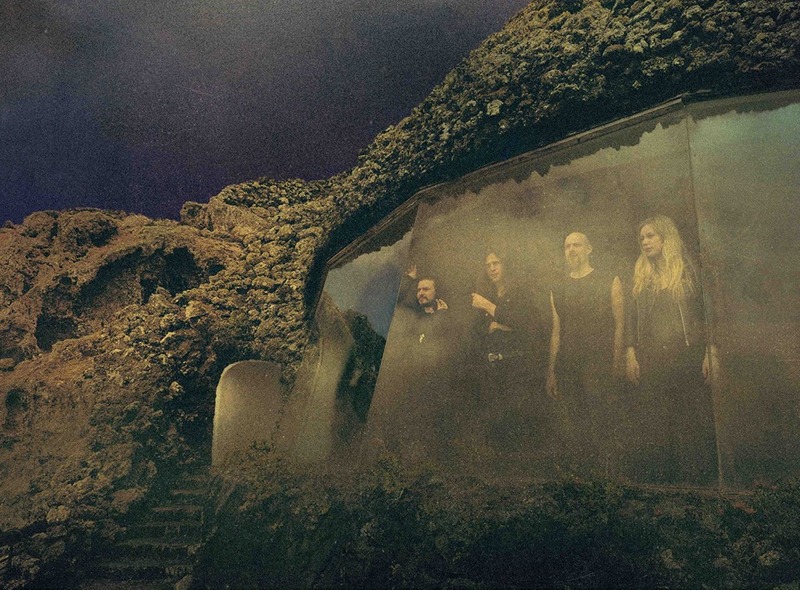 GRAVE PLEASURES consists of singer/songwriter Mat McNerney (also of HEXVESSEL), bassist Valtteri Arino, guitarist/songwriter Linnéa Olsson (THE OATH, SONIC RITUAL), drummer Uno Bruniusson (IN SOLITUDE, PROCESSION) – as well as live and studio session guitarist Juho Vanhanen (ORANSSI PAZUZU). In May of this year, this impressive line-up entered the studio together with award-winning producer Tom Dalgety (KILLING JOKE, ROYAL BLOOD). The result is a complex and feverish set of modern rock songs. Urban tribal rhythms; potent melancholia; raw pop sensibility; irreverent ferociousness – “Dreamcrash” is seductive in its surrealism one minute, and a cold shower of harsh reality the next. Additionally the band has just put up a video studio diary, shot in May 2015. 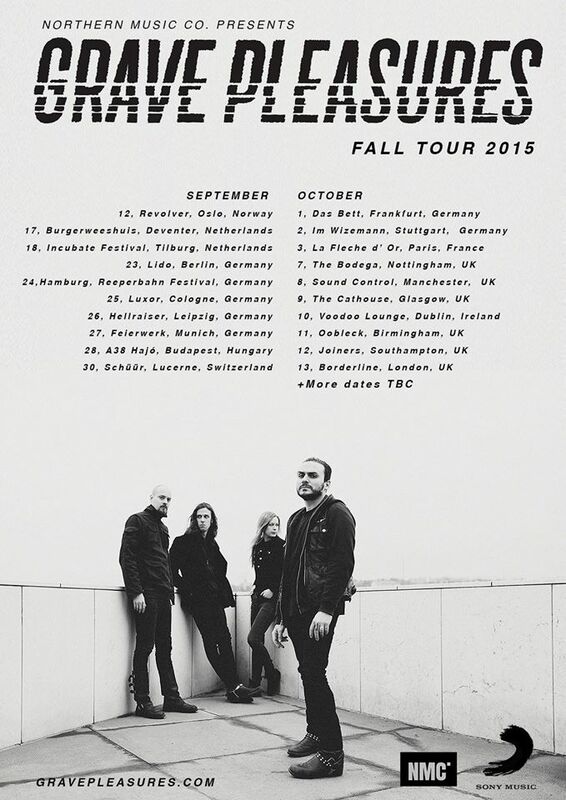 Having recently inked a deal with Sony and completing their lineup, multi-national apocalyptic post-punks GRAVE PLEASURES now announce a full fall tour, spanning September & October 2015. 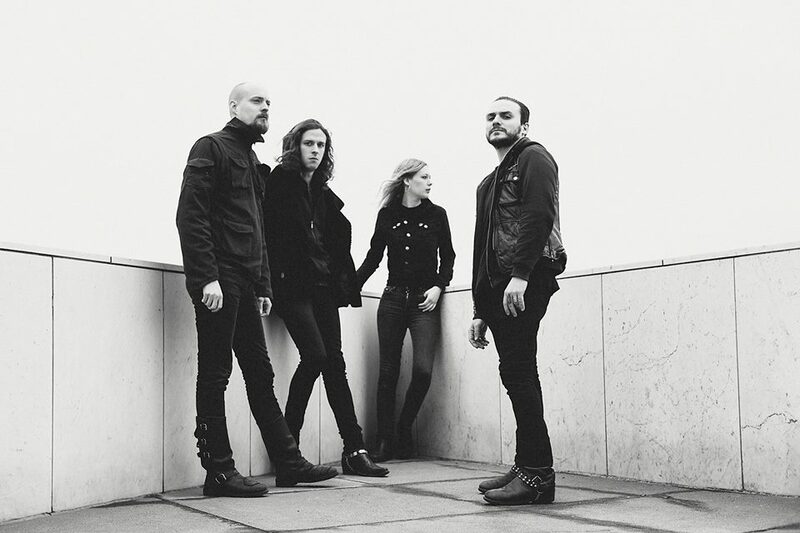 In addition, the band will play a full run of European summer festivals. The five-piece features former members of BEASTMILK, IN SOLITUDE, HEXVESSEL, PROCESSION, THE OATH, SONIC RITUAL and ORANSSI PAZUZU. Furthermore GRAVE PLEASURES has entered the this month studio alongside award-winning producer Tom Dalgety (ROYAL BLOOD, KILLING JOKE) and will release their new album in September 2015 via Sony. To give their fans a first impression of what to expect, the band has put ap a rehearsal tape, recorded last month in a bunker in Tampere, Finland. For all summer festival dates, please check out this page – for all fall dates, please check out the flyer below. GRAVE PLEASURES (ex-BEASTMILK) announces new drummer Uno Bruniusson (IN SOLITUDE) and inks a deal with Sony! Uno Bruniusson of Swedish metal pioneers IN SOLITUDE joins GRAVE PLEASURES, the band formerly known as BEASTMILK. The band have signed a record deal with Sony. They head into the studio this may with award-winning producer Tom Dalgety (ROYAL BLOOD, KILLING JOKE) and will release their new album in September 2015. GRAVE PLEASURES now complete their impressive and illustrious lineup with new drummer Uno Bruniusson (co-founding member of now laid to rest Swedish band IN SOLITUDE, drummer for PROCESSION) who has joined their ranks in April 2015. Bruniusson’s vast experience, accomplished drumming flair and eclectic range of styles consummates the GRAVE PLEASURES lineup into a formidable force to be reckoned with. 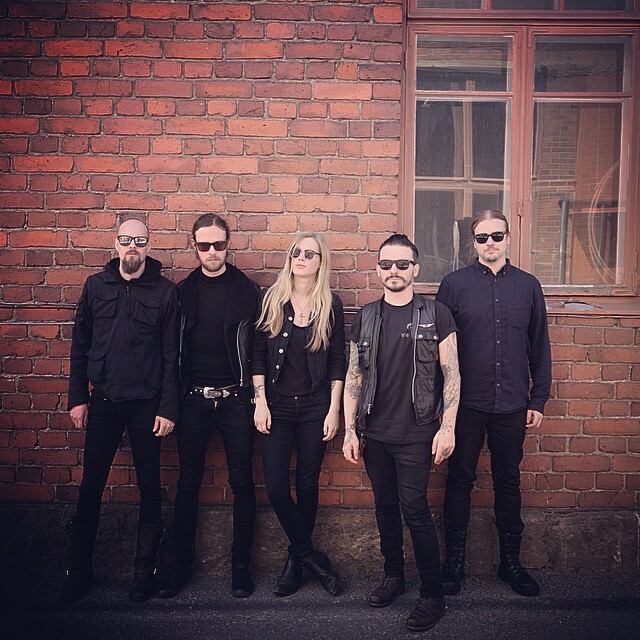 Bruniusson marries his metal to singer/songwriter and founding member Mat “Kvohst” McNerney (also of HEXVESSEL), original Beastmilk bassist Valtteri Arino, guitarist/song-writer Linnéa Olsson (founding member and song-writer of THE OATH and SONIC RITUAL) who had joined BEASTMILK earlier in 2014, and new live/studio guitarist Juho Vanhanen of well-known Finnish blackmetal titans ORANSSI PAZUZU. As self-styled apocalyptic post-punks, BEASTMILK were one of the most talked-about bands in recent times. Their “painful war-cry of the eternally doomed,” as one journalist described it, resonated with fans of all genres. They were instantly picked up on by Pitchfork, NME and The Guardian with raving reviews, and took the music scene by storm. McNerney expands on their vision by describing the debut album “Climax” as a “brief introduction.” He claims that “The new songs are so raw and so vital, that they delve much deeper. We’re not stopping at a prologue, we’re heading straight for the zenith of our sonic love affair with the apocalypse.” The future of this band is surely going to be as unprecedented and extraordinary as its inception.The end has only just begun.